Did you know that the Creation Museum has a biblical walk through history, from Creation to the Cross and ending with the Consummation? While walking through Creation, you can experience the verdant Garden of Eden and observe the creation of Eve, the tree of life, God’s first commandment, and Adam and Eve’s disobedience. 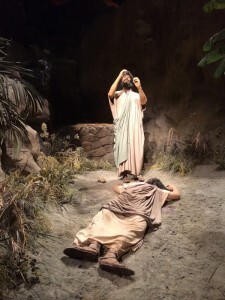 The Creation Museum also has a scene of Cain killing Abel, and immediately across from this scene is a sign answering one of the most-asked questions that Christians encounter: Where did Cain get his wife? Answers in Genesis endeavors to answer this question and many questions like this in the museum and also through valuable articles and resources that are just a click away. 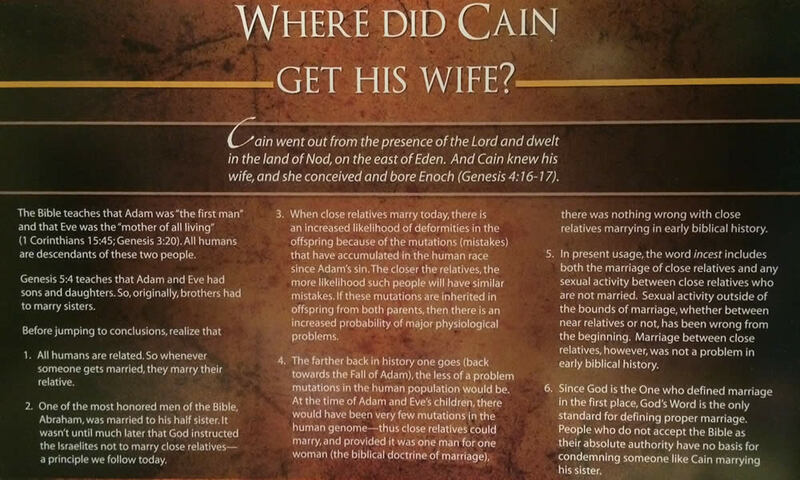 Have you ever thought about where Cain got his wife? 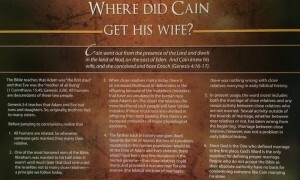 See “Cain’s Wife—Who Was She?” for an article and video on this subject. At the Creation Museum, you can see the Bible come to life with the visually stunning exhibits while learning more about God and His Creation and how we can trust His Word. Also, make sure to check out our “Kids Free in 2014” program where all children ages 5–12 can come to the Creation Museum free of charge with the purchase of a full-priced adult or senior admission! See our Plan Your Visit page for more information.